In the heart of our extensive facilities is our climate-controlled dedicated engine building workshop. 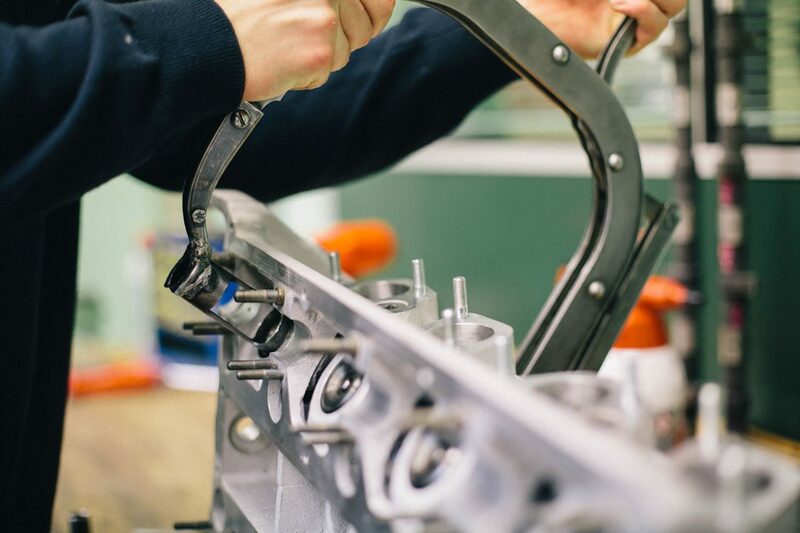 The utmost care and commitment is given whilst rebuilding your engine, whether it be for an unleaded fuel conversion, a full rebuild or race development. Virtually all of our component machining is carried out in-house. Balancing, boring, honing, milling, grinding, polishing and skimming by our own engineers guarantees every aspect of the finished product is compliant with our own exacting standards. 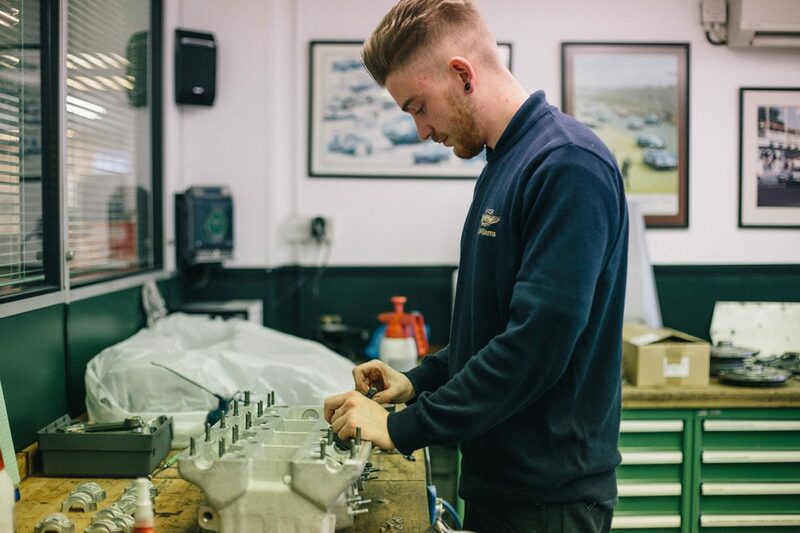 Every unit is tested on our own dynamometer, operated by the same person who built your engine, ensuring that your requirements are dealt with first-hand. You can even watch your engine undergoing testing at request. 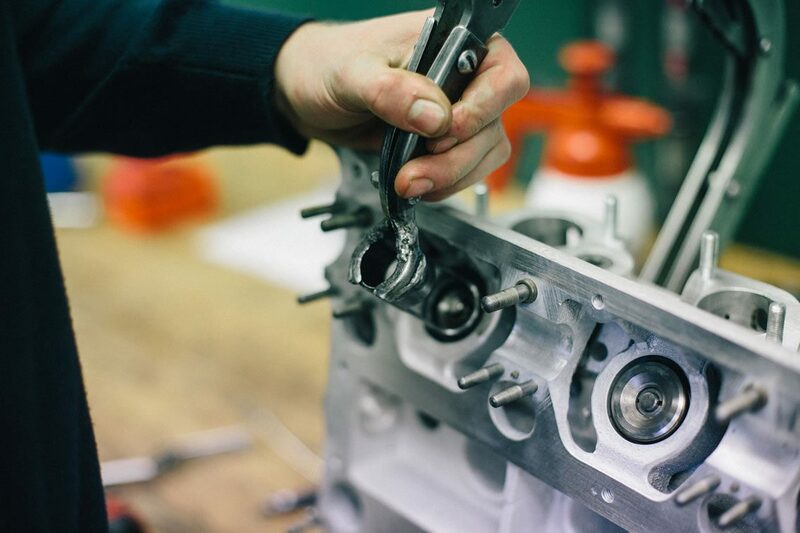 We offer rebuild of your engine in standard form or upgrade with our 4.2 litre or 4.7 litre conversion for six cylinder units or our 5.7 litre or 7 litre upgrade, carburettored or fuel injected, for V8.